When it comes to the ten most affluent black communities in America, Maryland is a breakout star. From the top ten list, five of the richest black communities are located in Maryland. Two are located in New York and three are located in Los Angeles. 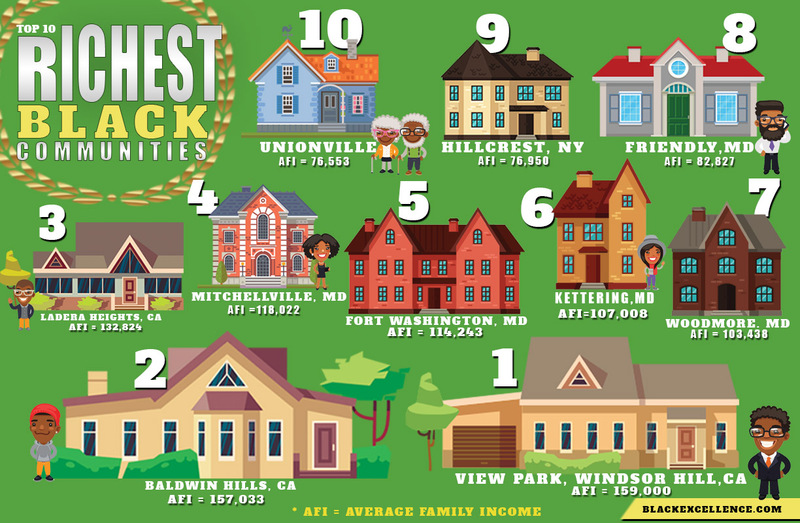 All of them have average family income above 76,000 with the highest being View Park, California with a average family income of 159,000. This infographic showcases the richest black communities in the US.